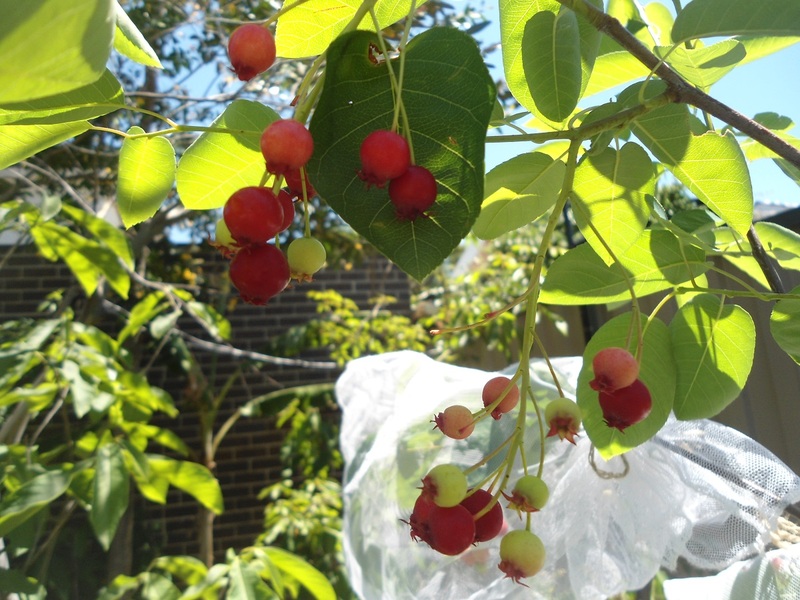 I have just got some seeds of the Dwarf Amelanchier cultivar Bluemoon to add to my collection of Amelanchier varieties. 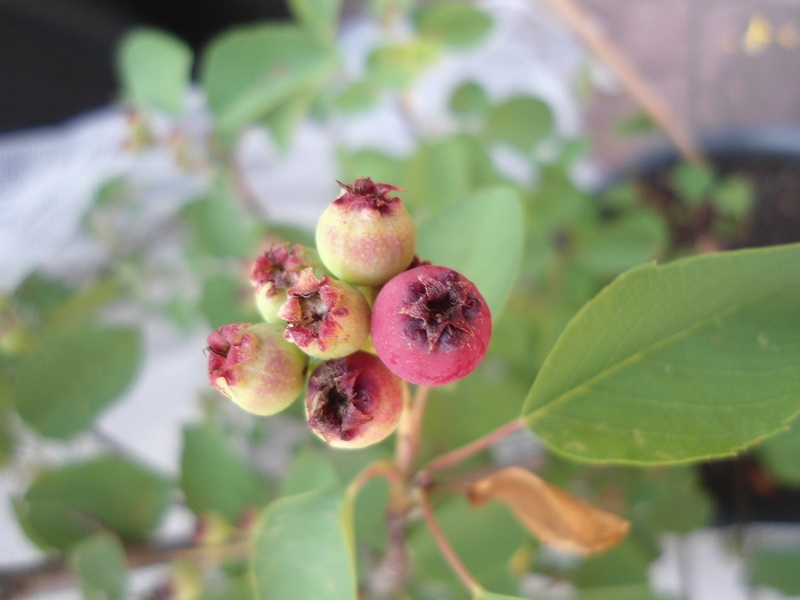 Since all Amelanchiers produce suckers and are considered to be somewhat invasive, the dwarf type should be easier to control. It's supposed to have shorter runners and only grows to about 2 metres so I'm thinking it should be easy enough to grow and get fruit in a pot. I've never tasted any yet. My trees have only been in the ground for 1 year so are not at fruiting age yet and I'm not sure how long they will take to start producing. What are they a type of blueberry ? 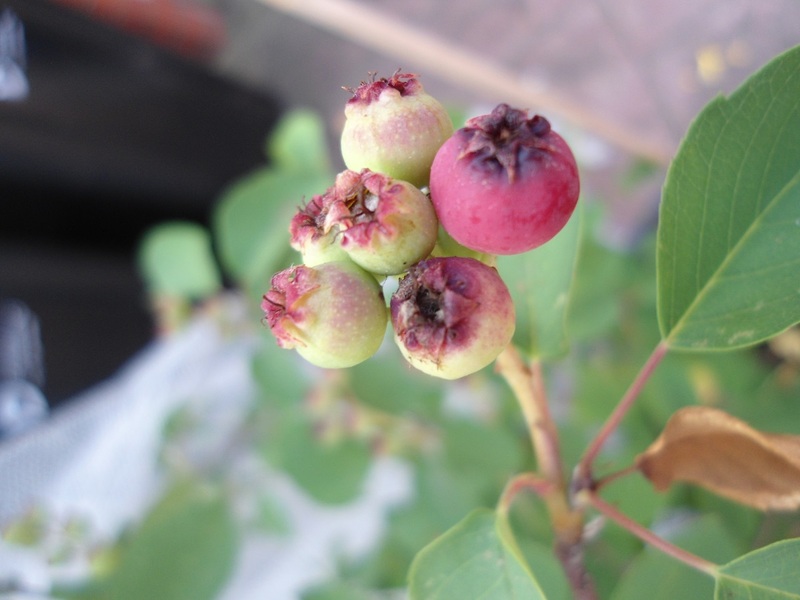 Amelanchiers are not related to Blueberries. 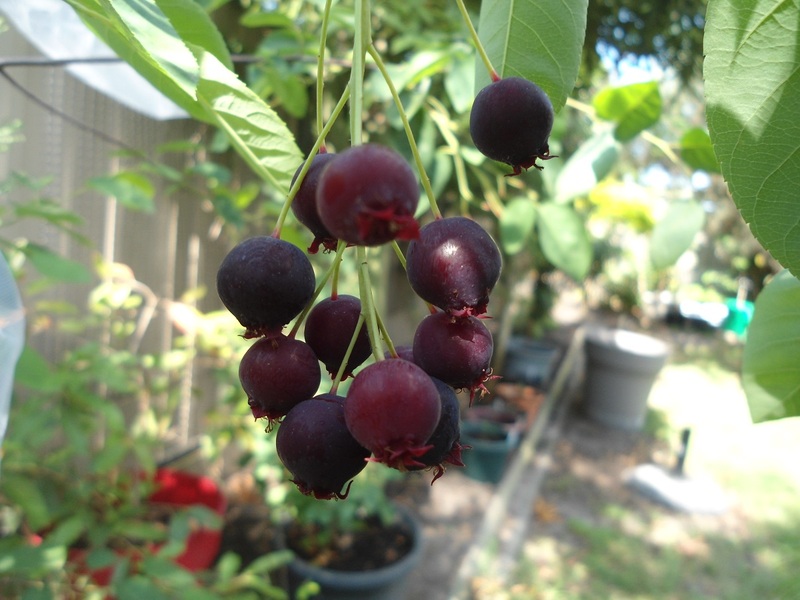 They are a small tree about the size of a plum tree. Cool looking fruit, Do they require any chill ? Amelanchiers are usually grown in cooler areas where there are apple and cherry farms which indicates that they probably need some chill. However I also read that they like it hot when fruiting. 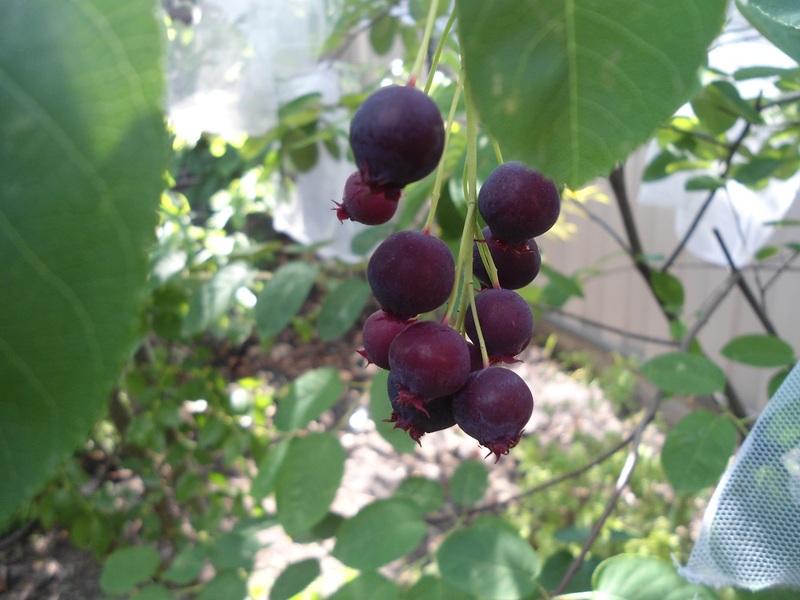 So if you can grow cherries or plums where you are you should be able to grow amelanchiers. In North America, A. alnifolia is the most popular and supposed to produce good tasting fruit. 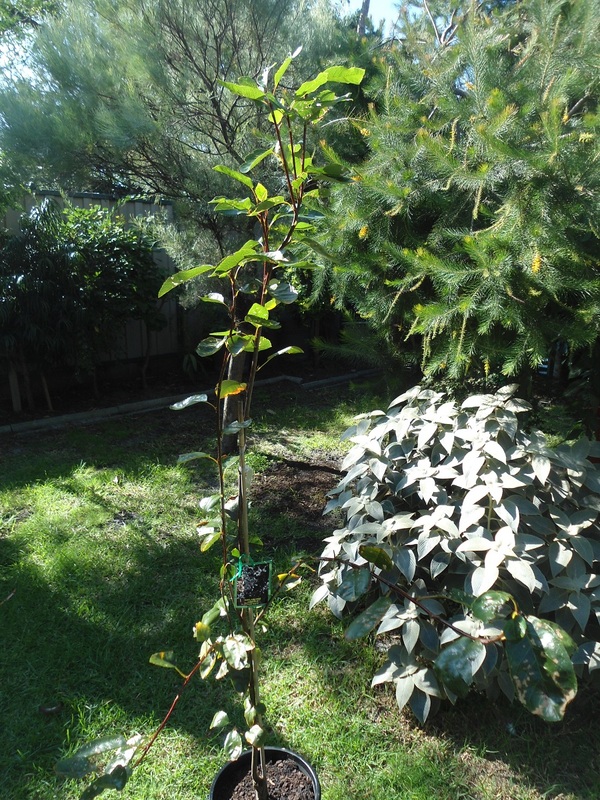 Some nurseries around Melbourne are selling A. Canadensis and A. arborea which I have both. The spring foliage has come out on the Amelanchiers now. 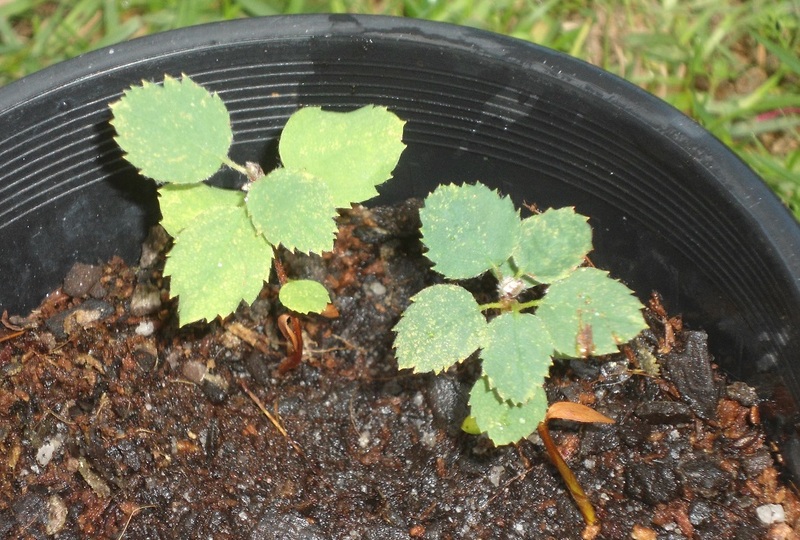 A. arborea (right) seems to be bushy and spreading whereas the A. Canadensis (left) is more upright and compact. I would be interested to learn how long they take to start producing fruit. Cheers! Dwarf Amelanchiers popping up now! 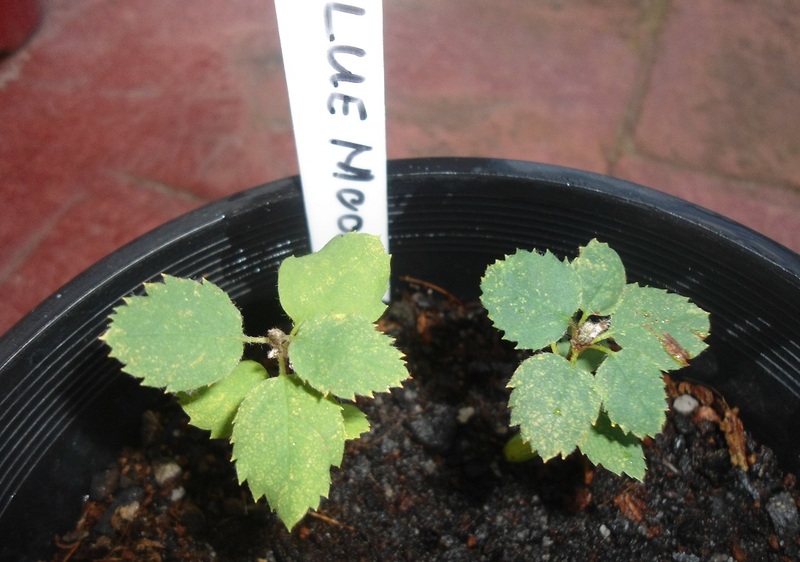 After nearly 6 months of stratifying the seeds, some of the Blue Moon Dwarf Amelanchiers are now popping up. (See pictures). Cheers! 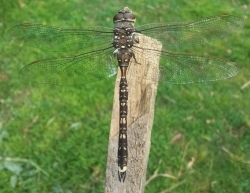 I have a much larger Lamarkaii (grafted on a rowan I believe) which hasn't fruited yet but appears to have flower buds for next year. 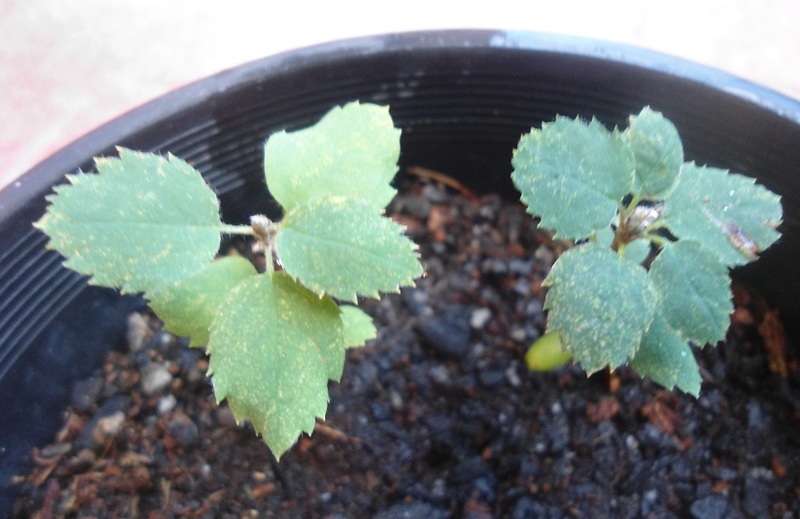 Google tells me they usually take 2-4 years after transplanting to fruit. 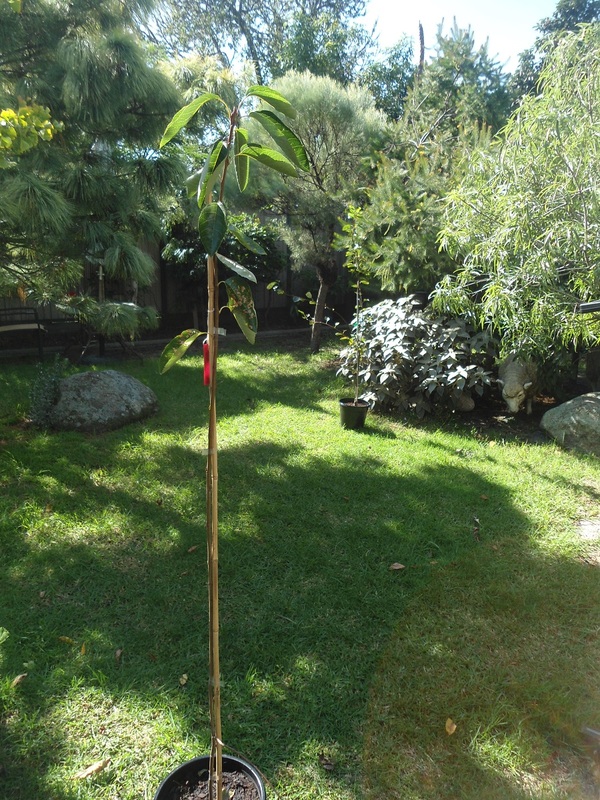 I got the Amelanchia arborea from Yamina, I think they usually have them. Cheers, I need to swing by Yamina at some point anyway. I'll add it to my list. Some of them were stratified in the fridge and others were planted in pots and left outside. Nearly all of them from both methods sprouted after about 6 months. 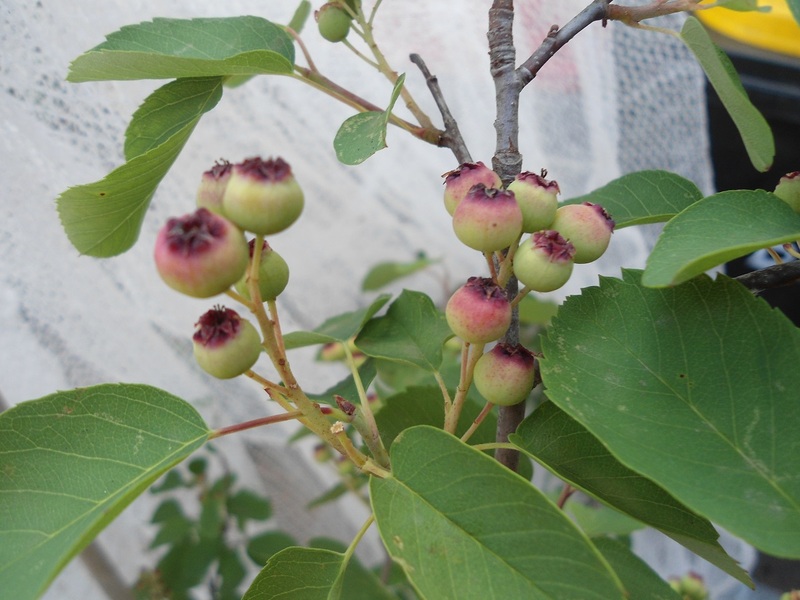 When is the best time to transplant deciduous fruit trees? 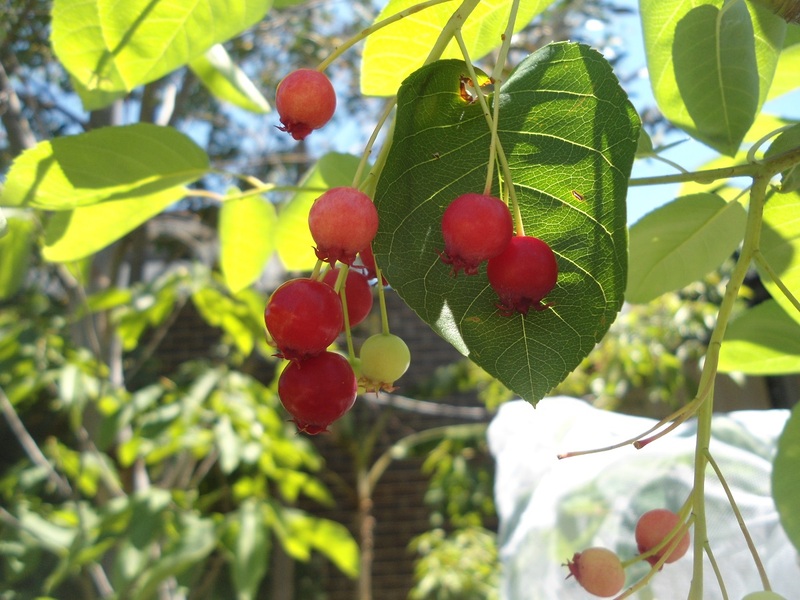 I'm growing a couple of grafted Amelanchier varieties - A. Lamarkii which is supposed to have good fruit and the less common A. asiatica (June Berry) which originates from China and Korea. I would like to transfer them into larger pots and ongrow them in pots for a couple more years. That way I'll be able to move them around into sunnier positions when required as they won't fruit in the shade. Is it ok to re-pot them now, or should I wait until they are dormant over Winter? Since they are both at about 2 metres, the sooner I transplant them the better as they have outgrown the existing pots. I'll be curious to compare the Asian variety with the other North American types that I'm growing once they all start fruiting. 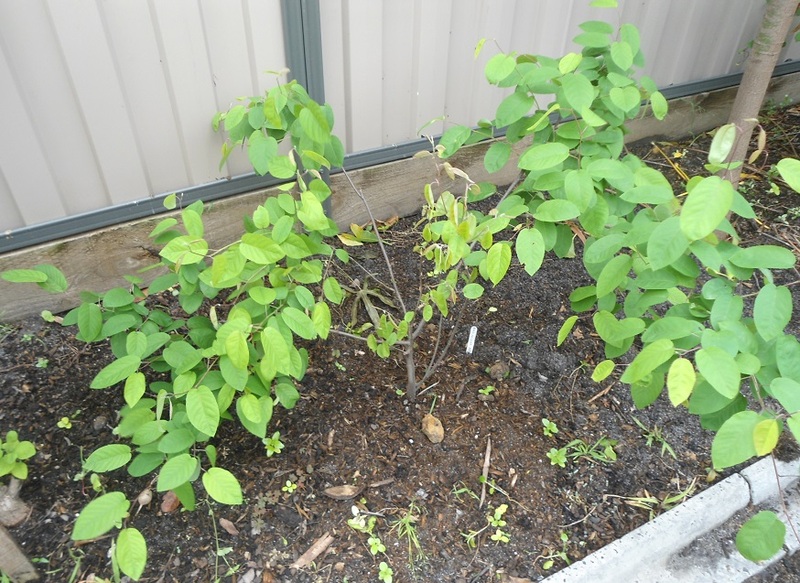 Pics 1 and 2 are of Amelanchier asiatica. Pic No. 3 is Amelanchier lamarkii. 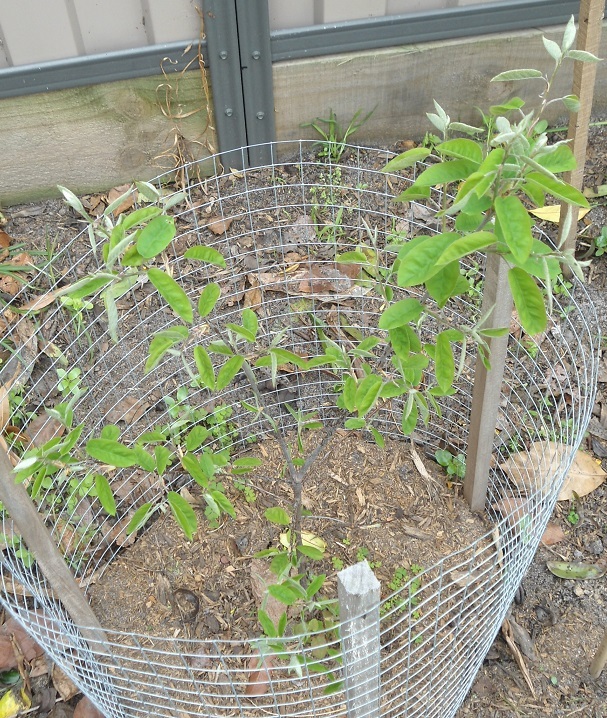 but the fruit on the Amelanchier alnifolia seedling tree I got recently are not as good as expected. 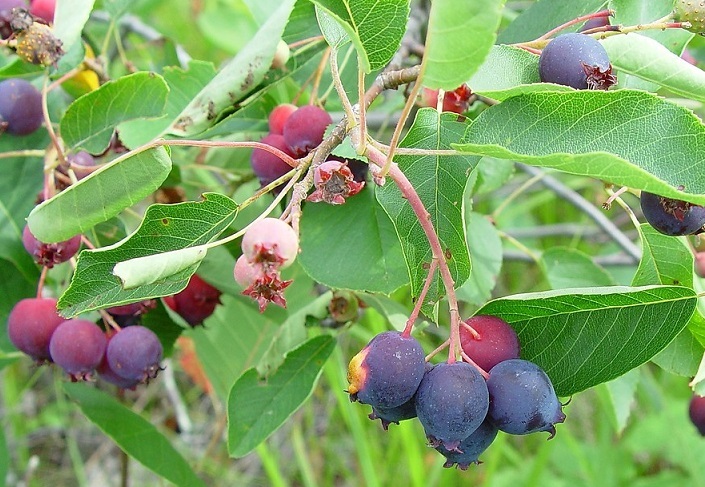 A.alnifolia is supposed to be the benchmark for saskatoon berries but these fruit are very small and not much taste. The fruit ripening now on the A.canadensis tree are much larger than these. Even the berries on A.arborea I had last year were a bit bigger. Another thing that's strange, the flesh of these alnifolia berries is greenish white like an apple, even when the is skin is red. But the arborea fruits were full of ultra-sweet purple juice, staining the fingers purple when picking. Do you think that the fruit on the alnifolia tree might improve as the tree gets bigger? It's currently about 1 metre and loaded with the small berries. Has anyone eaten them that can tell me if the flesh is supposed to be white or should it be purple like the other varieties? Thanks for your advice. 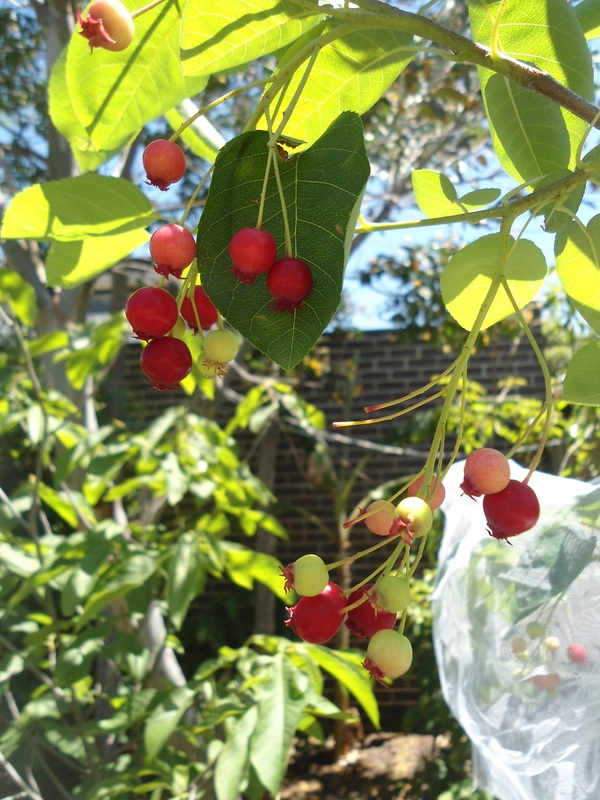 The berries of Amelanchier canadensis are ripening now and are a bit larger than alnifolia. The flavour and juiciness is better also. With the run of high temperatures ripening occurs within 1 - 2 days so they have to be eaten fast! Cheers! I may have spoken too fast! 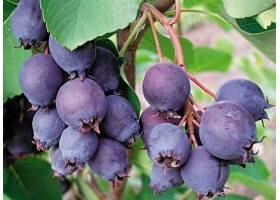 The Canadensis berries have now turned dark purple black and grown larger. The flavour is very much like blackcurrant, similar to the Ribena blackcurrant syrup you buy in the bottle. Very nice! Attention: John - More information required! 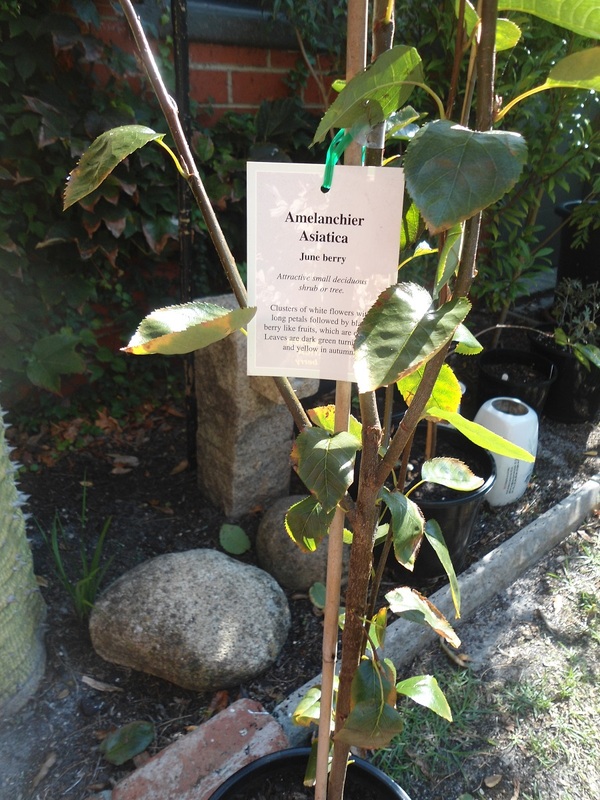 Great to hear you are interested in growing some Amelanchiers which should perform well in your area. They are sold by various nurseries around the outskirts of Melbourne but none of those places will post plants so more information is required. 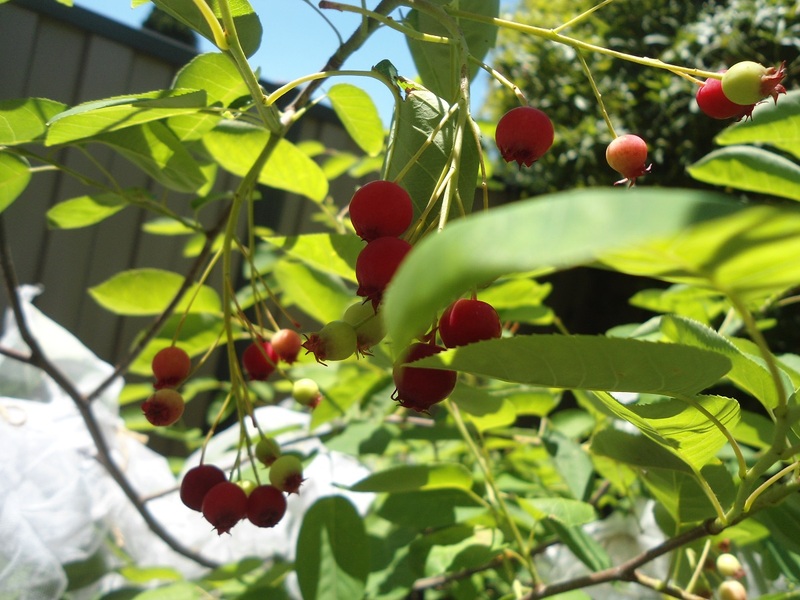 Which Amelanchier varieties are you looking for? Do you have some ideas how you are going to get them brought to SA or are you planning a visit to Melbourne? Another option is to grow them from seeds. I believe there is a seed seller on ebay located in SA.